From February 27th to May 17th 2009. The GOOG/ The tracker is a project developed by Platoniq for Acvic. How can you research and gather information in your city? How can you locate resources which can be shared among the population? How can you find people with common interests? Platoniq will show their project "The goog" in Vic. This "tracker" will create policies of re-using meaningful knowledge, useful but which are in the process of disappearing or of being re-appropriated, either in urban or rural zones. The goal of the intervention in Vic is to test the efficiency of internet social networks when applying them to the physical context of the city. 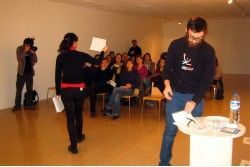 Through workshops, games and actions with youth, old people and specific groups, analogous forms to all these novel self-organisational tools will be established in civic space. The themes of Platoniq's projects centre upon active forms of mediation, new contributions to the definition of culture and participation. 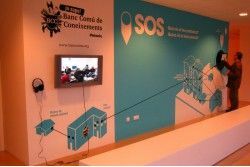 An example of this was Burn Station, a project created in 2003 consisting of a copyleft system for content distribution in public spaces. 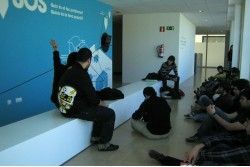 The participants listened to, selected and freely copied music from more than 40 independent internet record companies. Winner of international prizes of digital culture in Berlin and Mexico, Burn Station today has more than 80 stations distributed throughout Europe and Latin America. 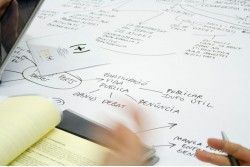 Another precedent of The goog is Banc Comú de Coneixements ( Common Bank of Knowledge) , a platform for research, development and social innovation (R+D+i), a methodological tool to generate networks of knowledge exchange in the city. 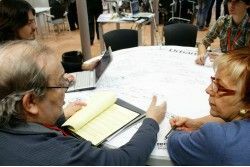 IN BCC the participants share information, tools or knowledge applied to barter markets, using the collective coordinated production model of free software through the dynamics of cooperation, documentation of process and responsibility distributed among the participants. From their creation in 2006, BCC has already arrived in Barcelona, Cambridge, Casablanca, Lisbon and Linz.